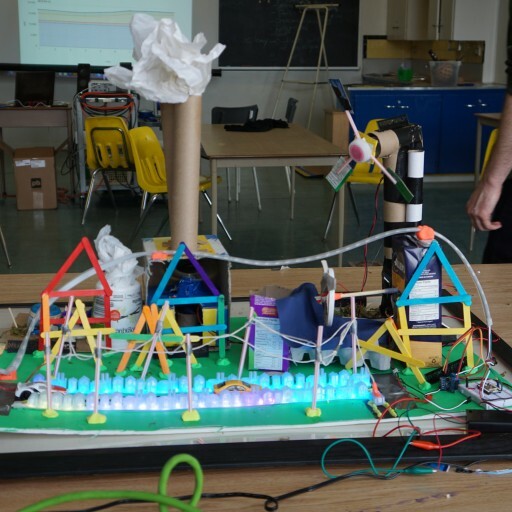 A model of the Ontario Power Grid, built by a class of sixth graders–with some help from STEAMLabs of course! 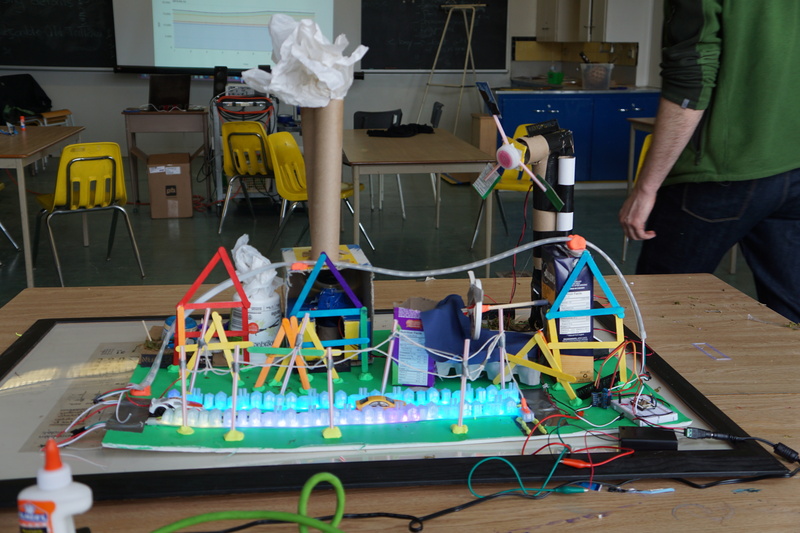 Remember that incredible model power station we built with a group of sixth graders a few weeks ago? If you don’t, you can see it on the left or read more about our power grid–or you can wait until the weekend and let our amazing group of sixth graders explain it for you! That’s right, this model power grid will be on display this weekend as part of the TIFF DigiPlaySpace, held at the iconic TIFF Bell Lightbox. The TIFF DigiPlaySpace is an interactive digital exhibition encouraging kids and parents to learn together by exploring educational games, mobile apps, creative tools and more. This year the DigiPlaySpace will also feature a number of projects created by kids still in primary school. Even better, the kids have been invited to present their work to the crowd, explaining the science behind it in much the same way an Ontario Science Centre worker would explain one of their exhibits. You can meet these phenomenal kids and see this model power grid in action at the TIFF Bell Lightbox this Saturday, April 18th. The exhibition will run from 10AM to 5PM and different kids who helped with the project will be there at different times of day. If you show up at the right time you might even get to meet STEAMLabs co-founder Andy Forest! Purchase your DigiPlaySpace tickets today to discover what kids can do when we put the technology in their hands. Don’t forget to also support our Kickstarter so we can continue making awesome projects like this one! Symetrio Multi - Sport WordPress Theme.